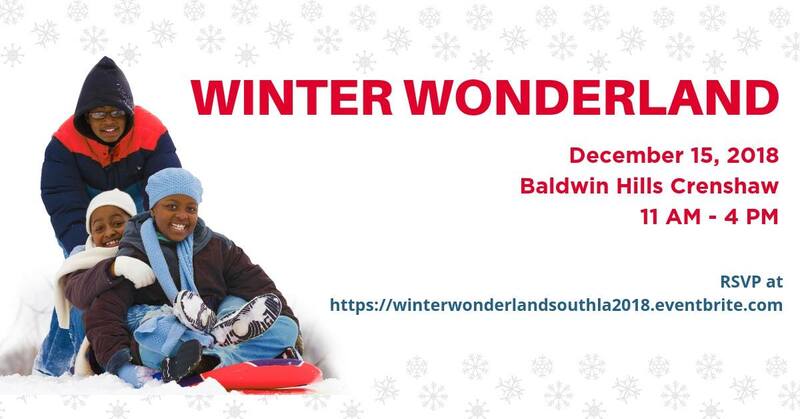 Please join Councilmember Marqueece Harris-Dawson and Baldwin Hills Crenshaw Plaza, Sears lot, off Santa Rosalia for the 4th annual Winter Wonderland. This year’s event will include free toys, a 5-lane snow slide, snow play area, free snacks, food trucks, music, and more. RSVP in advance for priority entry!